easy and task-free with data automation, so you can focus on patient care. 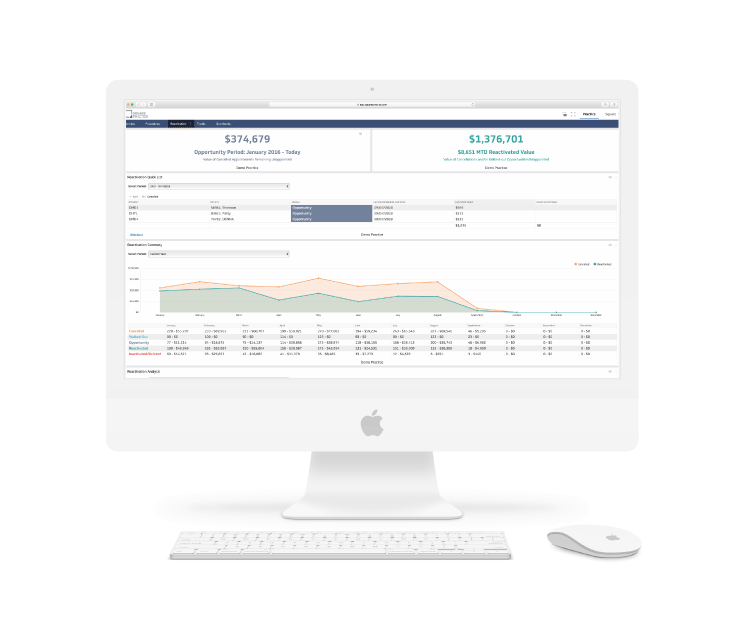 Combine multiple sections of practice management software into our unique and dynamic platform. Refresh data every 15 minutes keeping you aware of all production and patient retention opportunities as they happen. Do you know how to keep your patients or win them back? 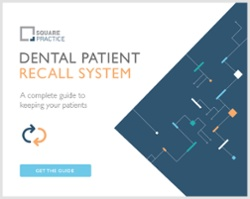 Having a well thought out Dental Recall System and strategy in place is the first step. Use our guide to understand the different components of reactivation and start creating your own reactivation strategy. Download our FREE Guide to get started! Our Reactivation Dashboard gives you all the insight you need to win patients back. Monitor the total value of broken appointments to better understand your opportunity to win back your existing patient base. Automatically track the total value of reactivated appointments you've won back from the time we integrate until now. Use the quicklist feature to stay on top of the most recent patients who leave unappointed to prioritize your team's recall efforts. Easily sort and assess both your cancelled appointments and unappointed patients by any time period. View a comprehensive reactivation analysis from any month to give you an detailed look into your patient's history. Keep track of your most recent patient engagement efforts to ensure the effectiveness of your recall strategy. to get the dashboards that best matches your needs.